OnePlus just released the rather important OxygenOS 5.1.9 software update for the OnePlus 6, which is tagging along with a slew of cool new features. The most important novelty regards the camera of the device - OxygenOS 5.1.9 delivers improved image quality. 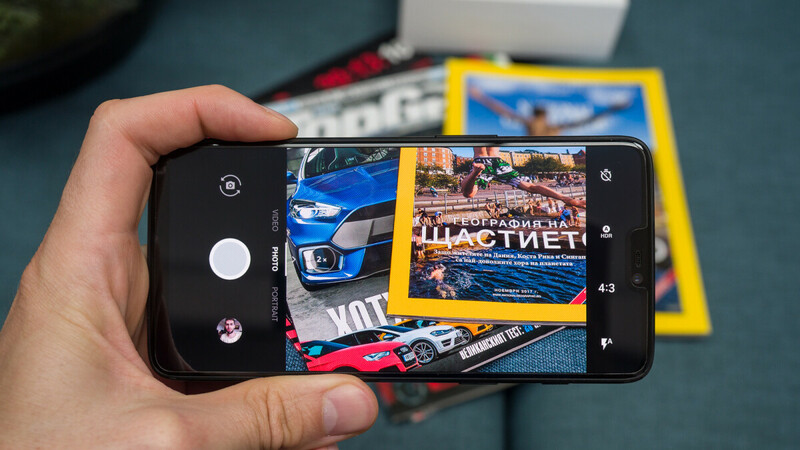 To be honest, this update is all about the camera: a few days ago, we heard that OnePlus actually plans to improve the image quality of its current flagship by enhancing the clarity, dynamic range, edge detection in portrait mode as well as the overall focusing speed and accuracy of the camera. All great, all nifty, and all rolling out to your OnePlus 6 as we speak. You also get a beauty mode for selfie portraits (yes, this feature wasn't present before). Finally, Google Lens, the real-life object detecting software from Mountains View, is now integrated within the camera app itself. It's available by swiping up on the screen if you're in portrait mode or swiping left or right in landscape mode. Other thingies that have arrived along with the software update are Group MMS for the Messaging app. The overall stability of Wi-Fi has also been improved, as well as finnicky Bluetooth connection to cars. A trove of bugs have been allegedly squashed, the July Android security patch is now game, and a few other smaller issues have been ironed out. The update weighs in at 342MB and should be arriving to your OnePlus 6 as we speak. Right, but now it is integrated with the proprietary camera instead of just through the lens app. But in 5.1.8 it was integrated as well. At least when I would go to the camera app and slide up, it was there. It would start Google Lens but it does that now as well. Strange, it wasn't integrated on my 5.1.8 OP6. I had lens, but had to open the Lens app.